As I have seen the audience and traffic grow for this web site, I have wanted the ability to better stay in touch and inform visitors and readers of new articles, updates, and other news. 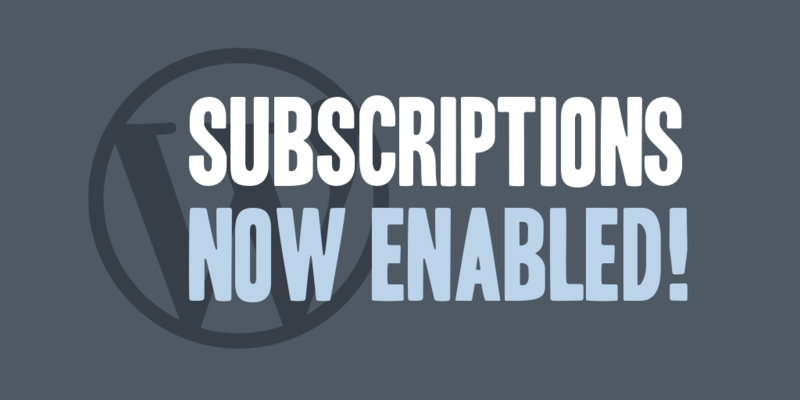 Therefore, I have enabled subscriptions. You can now subscribe from any page within this web site through the right sidebar and receive updates when new articles and pages are posted.